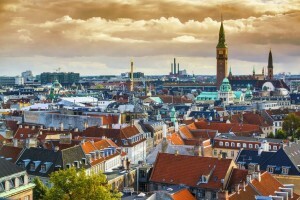 The city of Copenhagen was originally a Viking fishing village founded all the way back in the 10th century. Copenhagen grew over the years and eventually became the capital of Denmark in the early 15th century. 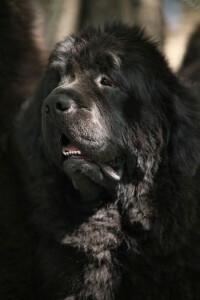 Some historians think that the ancestor of the Newfoundland dog was also a Viking. Leif Erickson the Viking explorer arrived in North America with his faithful companion Oolam, a large black canine called a Viking bear dog and the exploration of a Viking settlement at L’Anse aux Meadows in Newfoundland, Canada revealed the skeletons of large dogs. Rosenborg Castle was originally built as a country summerhouse in 1606 in the Dutch Renaissance style which was typical of Danish buildings at that time. It was expanded several times until it was finished in the style that it stands in today by 1624. 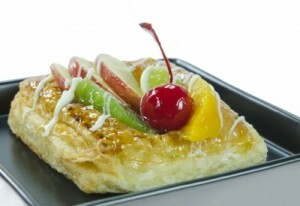 It is a popular tourist attraction and houses the crown jewels of the Danish monarchy. 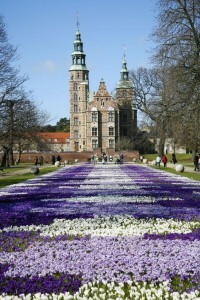 Originally a private royal garden, The King’s Garden at Rosenborg castle and is the oldest park in Copenhagen. It dates back 400 years and is open to the public. Visitors can enjoy live concerts, puppet theater, croquet, picnics, the rose garden, and the fabulous crocus lawn. 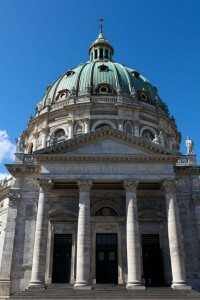 Frederick’s Church popularly known as The Marble Church, has the largest church dome in Scandinavia. The foundation stone was set by king Frederick V on October 31, 1749. After the death of its designer, the church was a ruin for nearly 150 years. In a highly controversial deal in 1874, Denmark’s Finance Minister sold the ruins to Carl Frederik Tietgen — with the understanding that he would build a church similar to the original plans. Though the oldest part of the church is marble, it was completed using limestone and finally opened to the public on August 19, 1894. Inscribed in gold lettering on the front portico are the words: HERRENS ORD BLIVER EVINDELIG which is Danish for “the word of the Lord endureth for ever.” – 1 Peter 1:25. 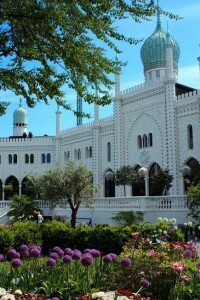 Tilvoli Gardens opened on August 15th, 1843 and is the second oldest amusement park in the world. 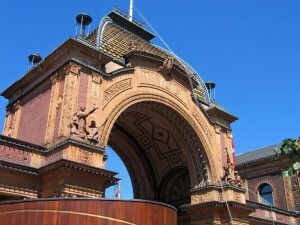 Situated in the middle of Copenhagen, Denmark it is rumored to have been the inspiration of Walt Disney’s Disney World. Some of its oldest attractions were razed during wartime, but many of the old features still stand. Beautiful garden paths, small boats to rent on the lake, and a restaurant within a floating pirate ship bring in tourists from around the world. The park even has a working wooden rollercoaster that was built in 1914. A human operator uses a brake to slow the rollercoaster on the hills so that it won’t gain too much speed. I’m curious, how many of you would ride this amazing attraction? Tivoli’s Moorish Palace, now the Nimb hotel and restaurant was originally a “Bazar in the Chinese style” and featured shops and a restaurant. It burned down in 1862, was rebuilt and then torn down, until finally the present building was completed in 1909. The Nimb is one of the finest hotels in the world and is known for their Sunday Luxury Brunch. Let’s end with a true dog story. With my own eyes I witnessed our approximately one-year-old Newfoundland drag my 255 pound husband off his feet and into the air when the pup caught sight of the river. Daryl hung suspended in mid-air for an instant, just like in the cartoons. He soon fell, smashing to the earth, where he landed face first in the grass. 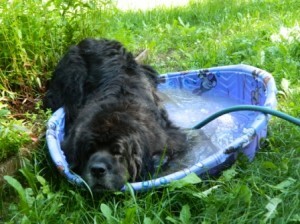 Undeterred, our Newf Shamu, launched himself toward the river dragging my husband behind him. Much of the material from Copenhagen Cozenage was inspired by our twelve wonderful years with Shamu, who ended up weighing 163 pounds in his prime and always insisted on “saving” my husband from the water first, even though Daryl is the best swimmer in our family. Shamu did get around to “saving” the rest of us eventually and our three boys spent may happy hours being pulled around the pond by our big doggy while they hung onto his tail.